By placing an order and confirming payment on this website you are entering a legally binding contract in accordance with the following terms and conditions of sale. It is a criminal offence to knowingly sell aerosol paint to anyone under the age of 16. By purchasing from this web site using a credit or debit card you confirm that you are over the age of 18, or are not acting for someone who is under the age of 18. Specifications on this website of the goods to be sold may be altered as a result of our continuous efforts to improve product quality and performance. Goods are generally available from stock and you should normally receive your order within 3 days. We may have to make your products or take delivery from the original manufacturer. This can cause delays beyond our control. We will part deliver orders should this be possible. The price of the goods shall be the price listed on our website on the date of your order, inclusive of any VAT which may be payable by you. All prices displayed on the website are quoted in UK Pounds Sterling and must be paid in full, including delivery charges. All prices may vary. 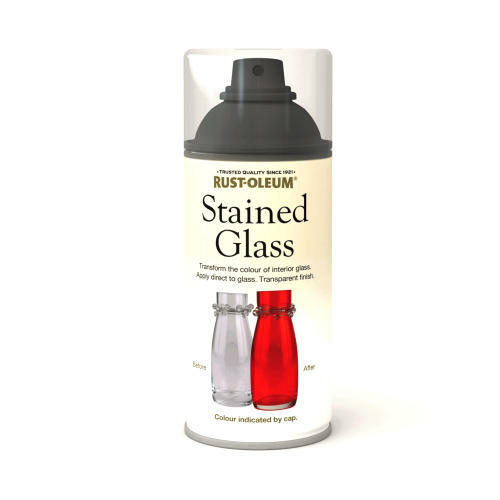 Customers and not Rustoleum Aerosols are responsible for any applicable customs duties or taxes in their own country. Payment may be made by any of the methods indicated on our website. Goods will not be shipped unless payment is received in full. Card details are passed to the SagePay for processing. Payment is automatically authorised online and debited immediately. 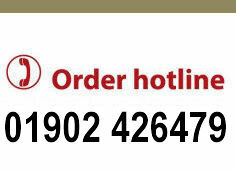 Delivery shall be made at the address specified by you at the time of ordering. We will make every effort to describe the delivery options correctly during the web ordering process and then ensure delivery within the times specified, but delivery times quoted are approximate only and we cannot be held responsible for any inconvenience arising from failure to provide the advertised service because of factors which could reasonably be considered to be outside our control. We strongly advise that you select the delivery option that suits your address and circumstances and that if the goods are required for a specific date they are ordered well in advance to avoid any disappointment. Risk of damage or loss of the goods shall pass to you at the time of delivery to the specified delivery address. You may return most goods supplied by us in their original condition within 7 days of the date you received them. Please contact us first, so we can supply a returns reference number. Due to the nature of the products supplied you must return the goods within 7 days of receiving this number. Provided the goods are returned unopened, re-saleable, in an as new condition, in their original box with all packing and accessories we will refund the cost, less the original carriage cost. We are sorry but we cannot pay your costs for the return of goods to us. If you open the tins or spray an aerosol then we will not be able to offer the goods for re-sale and will not be able to offer you a refund. We are unable to offer refunds on items that have been specially made to a specific colour for you, such as tints or mixed paints. Due to nature of batch manufacture we cannot refund due to colour or pattern mismatch. We are unable to offer refunds on Fire Resistant or Intumescent coatings. We cannot arrange a third party collection on your behalf. Return shipment will be at your own cost via a carrier. Paints cannot be sent via the Post Office. When returning goods we recommend that you use a carrier who offers shipment tracking and that you insure the package for its full value. You will be responsible for any loss or damage to the goods during transit. Please inspect and advise us within 24 hours of delivery if the goods arrived damaged. Our carriers do not accept responsibility for damaged goods beyond this period of time. Do not accept delivery if the goods arrive damaged. If after opening you discover that the goods are damaged and are unusable we will re-supply at our cost and will arrange for collection of the damaged goods. If you part use the damaged goods you are accepting delivery. Please retain photographic evidence should we need to pursue matters with our carrier. These Terms shall be governed by and construed in accordance with UK Law. Rustoleum Aerosols is a trading name of Andrews Coatings Ltd, a company registered in England and Wales under number 4327568 whose registered office is Andrews Coatings, Carver Buildings, Littles Lane, Wolverhampton WV1 1JY. Vat reg. nr GB785468865. Nothing in these conditions will reduce your statutory rights relating to faulty or misdescribed goods. For further information about your statutory rights contact your local authority Trading Standards Department or Citizens' Advice Bureau.